The invitation seemed interesting at first. One of a handful of journalists! Selected for an exclusive interview with the Fortune 500 executive! The wheels in my head were spinning with how I might pitch the story to my editors. That’s when I saw the specifics. The event was the following day in Los Angeles. I’m based in the Bay Area. If this was the first time a PR “professional” had spammed me with a geographically inappropriate invite, I might have let the oversight slide. Unfortunately, however, the misfire was one in a litany of recent missives based on bad information—a debacle that ultimately prompted me to blacklist dozens of individuals and agencies. The whole rigmarole could have been avoided had someone at some point done some very simple research on me before sending the invite over. My Twitter profile says I live in Northern California. My website—Whalehead.com—says so, too. Even my public-facing Facebook page has that info. Heck, most of my magazine taglines indicate I’m a “writer and editor based in Healdsburg, California,” and a simple cross-reference would tell you that town is about 90 miles north of San Francisco. In short, it would have been easy to see I’m not in LA. Location is only one piece of information PR professionals should research before sending ideas to a freelancer. Here, in no particular order, are four other bits of research that should be considered “homework” before you hit send on that next pitch. Every freelancer—even general assignment types—has certain areas in which he or she specializes; pitching stories outside of these areas likely is a waste of your time and the writer’s. You can get a good sense of which areas the freelancer covers through a basic Google search. Take the time to plug in the reporter’s name, click through to a few of the stories, look for trends, and plan accordingly. In my case, you can find my coverage areas on Twitter and my website. You also can deduce them from simply reading some of my work. Most freelancers list their outlets on their websites; those who don’t usually make them available in front-of-book bios or on social media. Familiarize yourself with this list of outlets before you pitch to avoid embarrassment; there’s no sense suggesting the freelancer write a piece for, say, Men’s Journal, if he doesn’t write for that publication. It also helps to do some homework on the outlets to make sure they’re still viable. People pitch me constantly with stories for Parenting.com, even though the website stopped publishing new content three years ago. 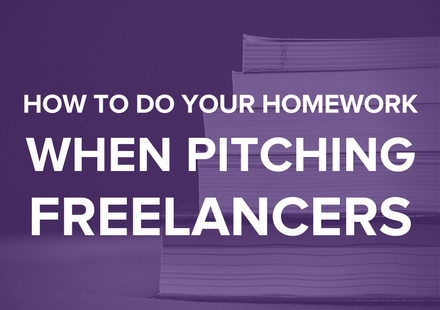 Even if you have to send a separate email asking the freelancer what floats her boat, taking the time to investigate these interests could put you in a better position to sell your pitch. Sometimes freelancers who have affiliations with one particular outlet or company may not be in a position to write for other outlets or other companies. It pays to familiarize yourself with these potential conflicts and avoid them aggressively. I, for instance, edit travel content for Expedia. With this in mind, I’m likely not going to write a puff piece about Kayak. Similarly, those reporters who contribute regularly to The New York Times likely aren’t going to want to pitch an exclusive story to The Wall Street Journal. So don’t ask. What do you consider to be mission-critical research when pitching journalists? Earned media can drive a wide range of business results, and targeting the right journalists and influencers can take your media outreach and communications programs to the next level. 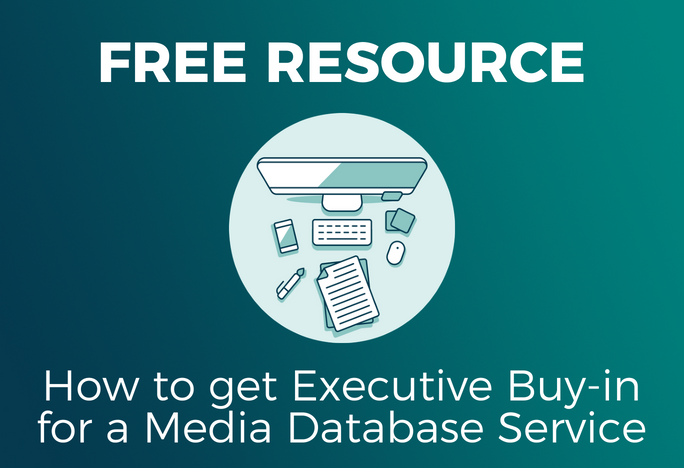 Download Cision’s Media Targeting & Database Solutions Buyer’s Guide and learn how to select a media targeting solution that will help you achieve your communications goals. Author Matt Villano writes for a variety of print and online outlets, and generally covers interesting people, interesting places, life as a parent, food, wine, science, business, technology and gambling. You can learn more about him at www.whalehead.com.